The Hispanic Association of Colleges and Universities (HACU) is once again partnering with Café Bustelo® to award twenty eligible college students $5,000 El Café del Futuro Scholarships. Describe how your Latino heritage, family and the community in which you grew up have impacted your desire and motivation to obtain a college degree. Additionally, describe what you intend to accomplish with your degree and how you will give back to your community. 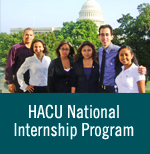 The scholarship opportunity is available to students who are enrolled full-time at a HACU-member institution, are 18 years old or older, of Hispanic/Latino descent and U.S. citizens or permanent legal residents. All applications must be received by Friday, May 24, 2019 at 11:59 p.m. ET. For scholarship guidelines, please click here. For the official press release, click here. The Café Bustelo® El Café del Futuro Scholarship is part of the 2019-20 HACU Scholarship Program. Click here to apply. You can also support Hispanic higher education by purchasing Café Bustelo coffee. For this year’s scholarship, Café Bustelo collaborated with four artists to design limited edition art tins as part of its Artist Series, with a percentage of sales going toward the scholarship. The art tins are now available for purchase at grocery retailers nationwide, while supplies last.